American stock car racing driver, Ralph Dale Earnhardt, Jr. is the son of NASCAR Hall of Famer Dale Earnhardt, Sr. He has won the Most Popular Driver Award ten times and has an estimated net worth of $300 million. 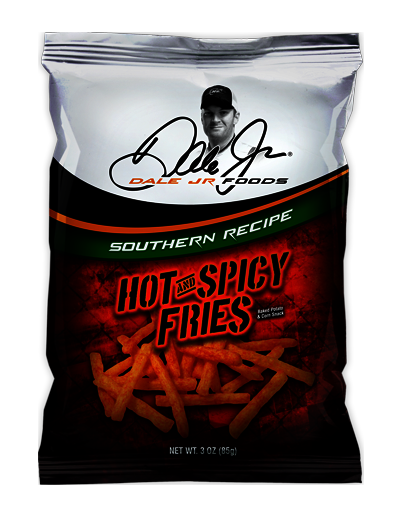 He currently drives for his own JR Motorsports team. Earnhardt, Jr’s racing career began at age 17, competing in the Street Stock division at Concord, North Carolina's Motorsport Park. Within two years, Earnhardt, Jr. Joined the Late Model Stock Car division. He worked at his father's car dealership as a mechanic while earning an associate's degree in automotive technology. Earnhardt, Jr. raced sporadically for a couple of years in the Busch Series races, before joining his father’s team in the Busch Series full-time in 1998. He began his career on the same weekend that his father won his first and only Daytona 500. Earnhardt, Jr’s career started well, with two consecutive NASCAR Busch Series Championships in 1998 and 1999. In 2000 he went full-time in the Winston Cup series. 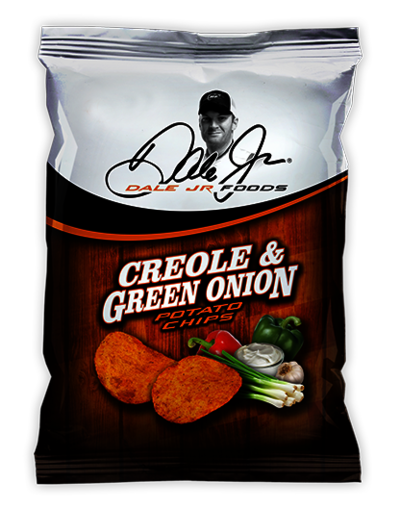 We could happily recount Dale Earnhardt Jr’s great motorsport career, but this is Chips & Crisps, so we will just list his major achievements: 1998 Busch Series Champion, 1999 Busch Series Champion, 2004 Daytona 500 Winner, 2000 The Winston Winner, 2003, 2008 Budweiser Shootout Winner. He has competed in around 500 NASCAR Sprint Cup series races and around 130 NASCAR Nationwide Series races in a 17 year career so far. Earnhardt, Jr. also has significant other business interests. He owns Hammerhead Entertainment, a media production company that created and produces the TV show Back In the Day. He is a partner in a venture with a group of investors that are building Alabama Motorsports Park, a Dale Earnhardt Jr. Speedway. Earnhardt also owns two bars named Whisky River in downtown Charlotte, North Carolina and in Jacksonville, Florida. He also has his own signature line of eyeglass frames. In 2012, Earnhardt, Jr. entered the automobile dealer business, opening Dale Earnhardt Jr. Chevrolet and Dale Earnhardt Jr. Buick-GMC-Cadillac in Tallahassee, Florida. ​The partnership launched with a Potato Chip range that included four savory flavors: Crispy Original, Carolina Barbecue, Creole & Green Onion, and Zesty Jalapeno. 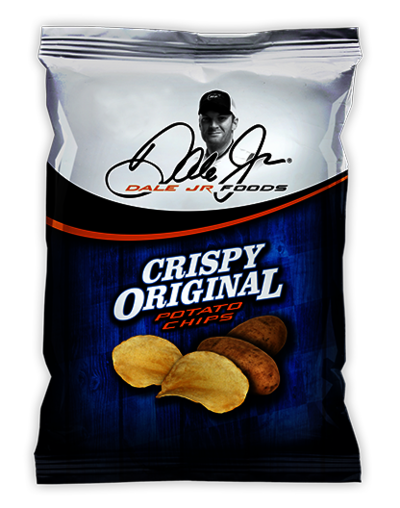 Dale Jr's was part of the KLN Family Brands group, and was a family-owned business located in Perham, Minnesota. KLN started in 1964 with Tuffy's Pet Foods, and has continued to ​expand its brands and products. 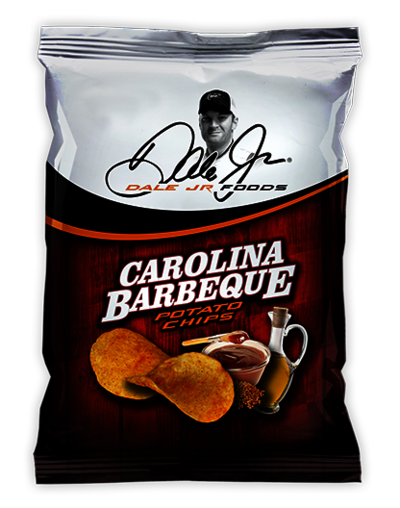 After receiving regular offers for its impressive range of snacks, KLN Family Brands eventually sold Dale Jr's along with the rest of Barrel O’ Fun’s line-up, which includes Rachel’s Kettle Chips, Vic’s Popcorn, Beer Chips and Pretzels, Salveo, SkinnyGirl, Natural Planet chips and its branded snacks for comedian Larry the Cable Guy, in early 2016.